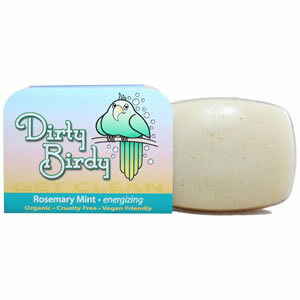 Rosemary mint is an invigorating treat that will excite and enliven your senses while you take your morning shower! Wake up, sleepy head, the birds are chirping! Rosemary is known to sooth dry and irritated skin and to promote healing. Peppermint oil promotes circulation and gives the skin a fresh glow. 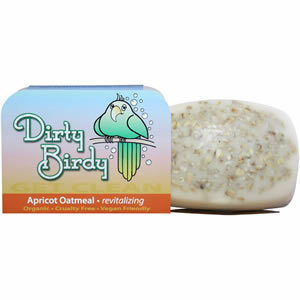 Our apricot oatmeal bar, crafted from nourishing apricot oil and ground oats, soothes and revitalizes dry, itchy skin. This bar has a nice apricot color that is derived from all natural soap colorants and is made from both organic vegetable glycerin and all natural white glycerin. This exhilarating bath bar, formulated with essential oils of lemongrass and orange, is jam packed with tangy, sweet goodness. It is so uplifting that it is guaranteed to brighten your day! This is great for the bath or shower and will leave your skin glowing and fresh. Hello relaxation time! This classic favorite is made with calming lavender and soothing oatmeal, and is inspired by the lavender fields of Provence, so close your eyes and say �au revoir� to stress. Lavender has long been used in aromatherapy due to its calming and relaxing properties. 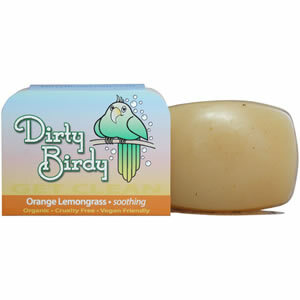 Dirty Birdy offers organic, vegan glycerin soaps and bath products as an alternative to common commercial personal care products that are chocked full of chemicals, further irritating and drying out skin. All of our products are handcrafted from start to finish using only the finest emollients, herbs, clays and essential oils available, and contain only organic, vegan-friendly ingredients. We also offer organic massage candles, body scrubs, bath salts and animal shampoos in addition to our soaps, which all help to rejuvenate and rehydrate your skin as well as awaken your senses - all while protecting the environment!